I’m usually reluctant to post this sorta stuff, mainly because it’s probably already made the rounds on the information super highway. Plus, I run the risk of looking all late and wrong. 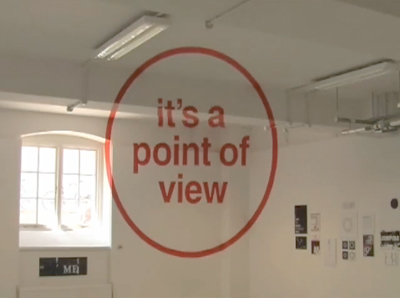 In any case, although the anamorphic lettering thing has been done, a couple of students at Chelsea College of Art & Design made this video illustrating how it (ideally) comes together for the viewer.